We are writing to you to raise the case of Yeshe Choedron (益西曲珍), who is currently serving a 15-year sentence in Drapchi prison, and to request that you do everything within your power to secure her release on medical parole. We are concerned by Yeshe Choedron's continued imprisonment, especially since she is known to be in poor health. 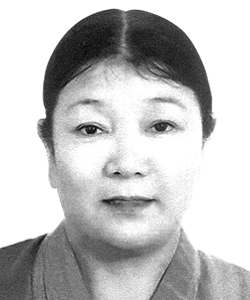 Furthermore, we are concerned that Yeshe Choedron, a mother of two, has been prevented from seeing her family since her detention in March 2008. The lack of access to Yeshe Choedron or information about her current circumstances also raises concerns over her treatment in prison, including fears that she is not receiving adequate access to medical treatment. We also demand that you employ your power and authority, wherever the law allows it, to support Yeshe Choedron’s early release through parole, medical leave or other means. We look forward to evidence that she is receiving this treatment, to which she is entitled under the aforementioned legal provisions.